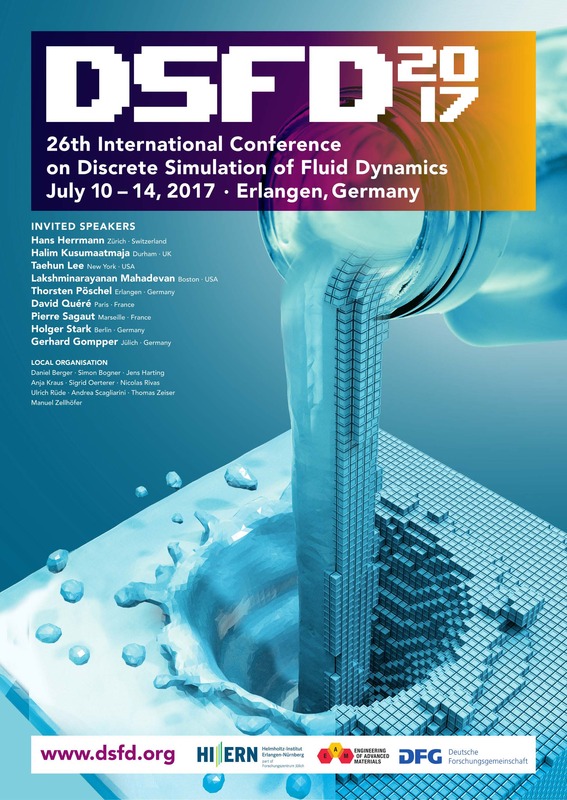 The deadline for abstract submissions for the 26th International Conference on Discrete Simulation of Fluid Dynamics is approaching rapidly. Please check out the meeting web page at http://www.dsfd.org to submit your contribution before 01.03.2017. We hope to see many of you in the southern German town of Erlangen this summer and look forward to an exciting conference!